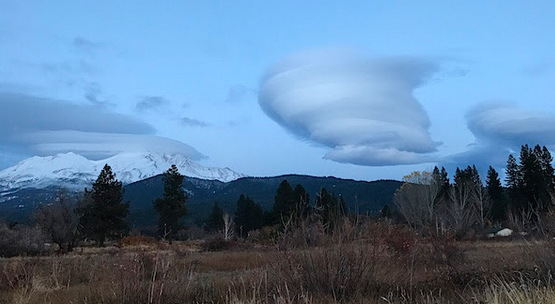 The photo above is from SUNset tonight in Mount Shasta. It has been a strong Gateway-Full Moon-Timeline Shift passage, which is anchored with our unified Mass Meditations on SUNday. The blending of the Love of Source, Love of Self, Love of others is strong. This is a collective initiation indeed. Regardless of what you are going through, the invitation to be part of the higher solution is open to all willing hearts. The desire to be a conduit for peace and the unfoldment of the miraculous demonstrates integrity and pure intent. When you feel good, you do the good work. When you feel off, you do the good work. Meditation practice builds spiritual strength, lights up the DNA and clears the energy fields.When we do this collectively, we change realities. Consistency demonstrates a deep understanding of the larger cosmic perspective. Especially with meditation. The practice of going within to honor Source truly accelerates this Ascension. It also assists with embodiment; the constant state of higher beingness in the physical. Gratitude flourishes during the holiday season. I find myself weeping with gratitude a lot lately. How blessed we are to have each other, how honored I AM to serve this Light Tribe. With many personal anniversaries/timeline markers coming up, I see how much has been accomplished with this big Galactic Ascension project. My Gratitude Stream flows far and wide. Such expansive love for all that has occurred in these realms. I AM deeply grateful for all who take the time to connect with our SUNday global infusions of Love, Peace and Grace every week. You are truly witnessed, cherished and celebrated for this demonstration of unity consciousness. Infinite Love and gratitude to all of us.Let us show HUmanity what is possible with Ascension! Meditation takes place at 14h11/17h11 / 20h11 / 02:11 am CET (Monday) ,choose one and sit in silence preferably in nature and go within and feel your connection with our Ascension Grid.